If you have an online business or handling one, you must have heard enough about ‘SEO‘. And if you did a deeper research on SEO or consulted with SEO experts, I’m pretty sure that you also heard ‘SEO copywriting‘. Both of these terms are among the most discussed topics by the webmasters these days because they are really important. So in this post, I will discuss what is SEO, what is copywriting, the importance of SEO and copywriting, and 10 simple SEO copywriting steps for beginners. The steps are not any hard and fast rules for success but based on my years of experience as an SEO copywriter. 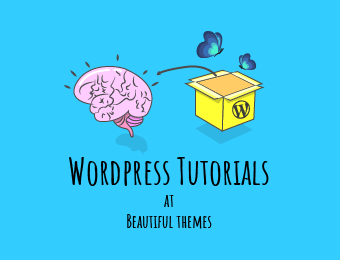 This post will be more helpful if you have a website in WordPress platform however it may be a thorough guide for all types of websites. Why SEO – Ranking in the top of search results is important! How quality copy helps you rank better? Whenever we have a query or anything, we consult the instant guide ‘Google search’. Our generation has actually no time flipping through the bulky books, guides, dictionaries to find the information required. Whether doing school homework, college assessment or a huge research project, we refer Google for the answers we want. Google has become synonymous to the verb ‘search’. Let me mention an instance here. When my younger sister asked me how to create an impressive CV, I simply replied her ‘Google it‘. This is not the ONLY example; I have seen lots of people around me as well as many popular bloggers using it instead of ‘search’. Precisely, anyone and everyone is looking for anything and everything on the web using Google. One of them may be you! And yes, because everyone is searching for any information on Google, it is very necessary that people find your business on Google. This is the general background why SEO is important. Don’t get confused on my frequent use of ‘Google’. There are actually many search engines but moreover, it’s ‘Google’ everyone is using. Google is indeed the most popular search engine and the no 1 top website. Google search figures are gigantic; it processes 63,000 or more queries per second. Its popularity can be linked to its mission to make the world’s information universally accessible and useful. So, this post focuses on how to optimize website/ website content for the search engine Google based on its algorithm updates however it may be equally helpful for other search engines as well. First of all, here is a joke. I don’t know the exact source but I heard it from my senior SEO guide. The only thing the joke is trying to convey is that people barely visit Google’s second page which is why you must optimize your website for SEO. In the nutshell, it’s very important that your website ranks in the top of search results (at least on the first page) to get any search traffic. Next, online reviews do impact. A study of 1000 consumers through Google Consumer Survey revealed that 67% of consumers are influenced by online reviews for purchasing decisions. Therefore, you must make sure to have plenty of online reviews, articles about the product and service you are providing. 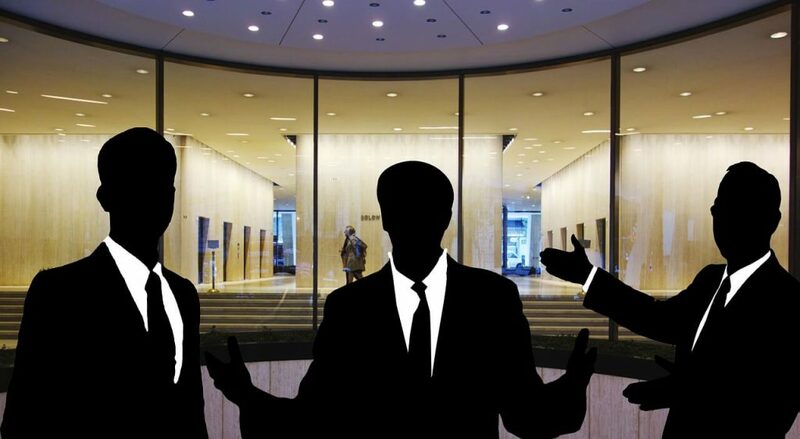 This is how you can reach to the maximum of your prospect customers and boost sales. 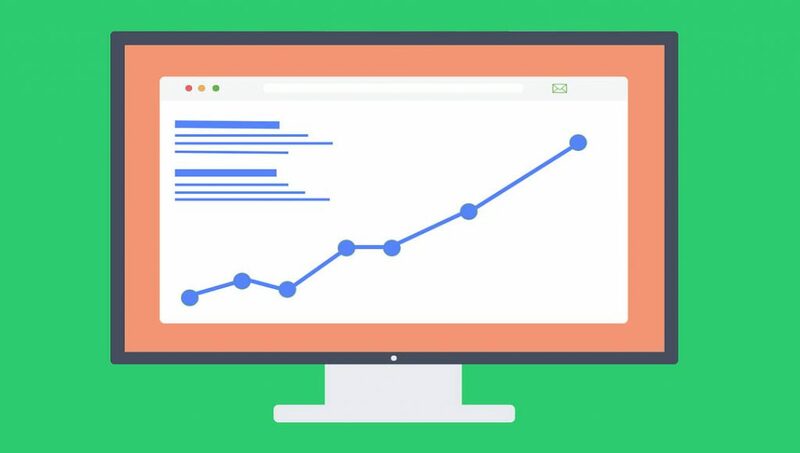 Similarly, CTR (Click-through Rates) study by Advanced Web Ranking shows that first five search results get about 67 percent of all clicks on desktop devices. Similarly, the first ten websites in the search results (the first page of Google’s default result page) get about 79% of total clicks. This makes it clear that it is very important to get ranked in the top of SERPS (Search Engine Result Pages). And the mantra is SEO. It is the key to a successful online business. SEO in simple terms means improving your website’s position on free/ organic search results. SEO is the abbreviated form of Search Engine Optimization. In other words, SEO is to optimize a website/ webpage/ post or any web content so that it gets better rank in free search engine results. When you type a certain keyword/ query in Google’s search box, it shows 10 organic results (web pages) by default. 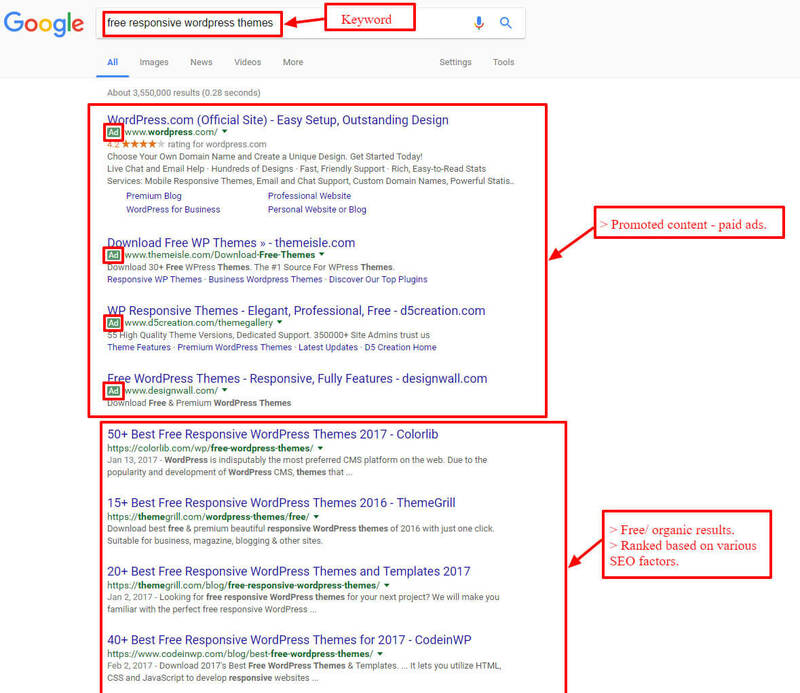 Depending on the search volume of keywords, there may be some promoted content before the free results but a small green-colored (Ad) box below such results indicate that they are paid ads. The general idea of Search Engine Optimization is that when your website has a better position in the search results, it gets more web traffic resulting in more conversions/ sales. This is how SEO helps you to boost sales and increase your company’s revenue. Copywriting is an art of writing copy. So, what is a copy? A copy is written content created with the purpose of marketing. It can be a piece of text, a tagline, a short paragraph, a blog post, an article of anything. The only thing that makes a copy different from any other kind of writing is the ‘goal’. A copy has a goal or an objective to persuade the target audience to take an action. It is moreover a persuasive writing. We try to persuade the prospect customers or our audience to buy the product we are promoting. Besides, persuading the readers to subscribe your blog or convincing them to click on your product landing page may be the goal of a well-written copy. Copywriting is really important for overall online marketing campaigns. It remains at the center of SEO, Content marketing, Social media marketing as well as paid marketing campaigns. If you have created quality content, it has a great role in search engine optimization. In addition, you can easily execute and boost content marketing and social media marketing strategies. I discussed SEO and Copywriting as separate terms above. Now, let’s discuss the terms together. Word analysis of these two words ‘SEO’ and ‘Copywriting’ together means creating search engine friendly copy/content. Whatever the universal definition may be, modern SEO copywriting has two essential aspects: 1) Making it Search Engine Friendly and 2) Making it useful to the users. In order to make a copy search engine friendly, there are some certain points to be considered. It is mainly about On-page SEO – using keywords appropriately, headings, SEO friendly images, and graphics etc. It is making a copy technically sound so that search engine crawlers can easily index the content and understand what the copy is about. An SEO copy differs from the general type of writing from its technical structure/ design. A random writing (formal or informal) without concern to keywords and other on-page SEO factors cannot be a good copy. However your copy/ content alone cannot help your website to rank better in search results. The overall aspects of the whole website must me SEO ready. Everything from the web server, theme, website structure, design etc. must be optimized for search engines. Making a copy useful to the users. The most important feature of a quality copy is ‘being useful‘. It is more justified by Google’s latest algorithm updates. As mentioned in its mission, Google has been updating its algorithm time to time in order to make the search engine more useful to the users. Google’s Panda and Hummingbird updates are mainly focused on quality content which discourage low-quality content. With the Hummingbird update, Google search processes the queries more smartly; trying to get the actual meaning of the whole query than separate terms in it. So, there is no other magic wand than creating quality content that is genuinely unique and useful to the users. Wondering what is quality content? Let’s not seek any universal definition of quality content. It varies by persons. 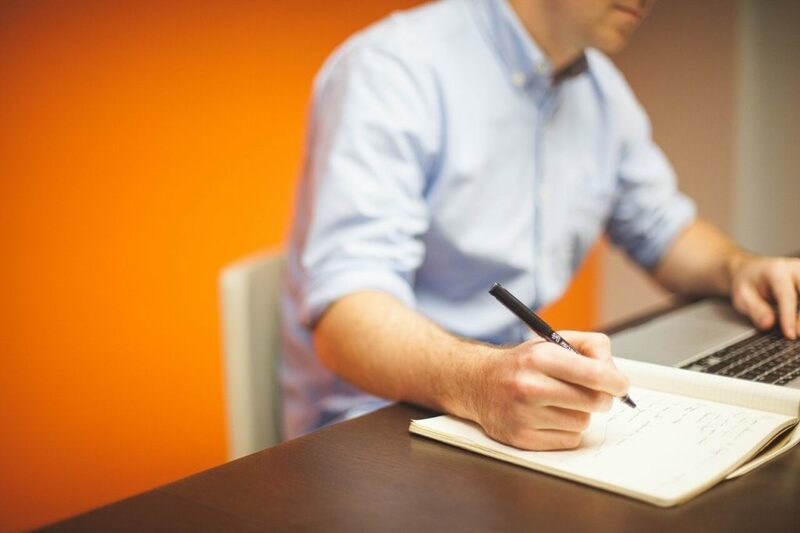 Here are some points to simply understand a quality content for SEO Copywriters. In the nutshell, a user-focused copy is quality content. When you create quality content that is useful to the users, people may read it and happily share it on their social media networks. Some of them may also bookmark your post and read it later. If they find it resourceful and adds information to their audience, they may also link your content on their blogs. When your content is read and shared by lots of people, gets plenty of genuine backlinks, it increases trust, authority, and relevance of your content. This is how you get better rank in search results. Once again, these are not any universal copywriting steps but simple steps which I follow. First of all, you must understand the topic/ product your copy is about. Your copy has a purpose of persuading the readers so it has to be well-written, attractive and appealing. In order to write such persuasive copy, you must have a thorough and sound understanding of the topic or product. You must list out the major features of the product or main aspects of the topic. With the good understanding of the major features of your topic/ product, you can point out what makes your product unique. In addition, you must pick the features and benefits users may get if they chose your product instead of any other competitor product. In addition to that, you must have a better understanding of your target audience. If you know who you are writing to or selling to, you can understand what aspects can attract them. This is how you can target their emotions and write an appealing copy. In simple terms, keywords are the words and phrases that internet users type into the search box of a search engine, such as Google, to find out the information they are looking for. Keywords can be a single word, a phrase, a sentence or a question. As a copywriter, there are mainly three types of keywords you should know about. Focus keyword: Focus keyword is the main keyword your copy is about. 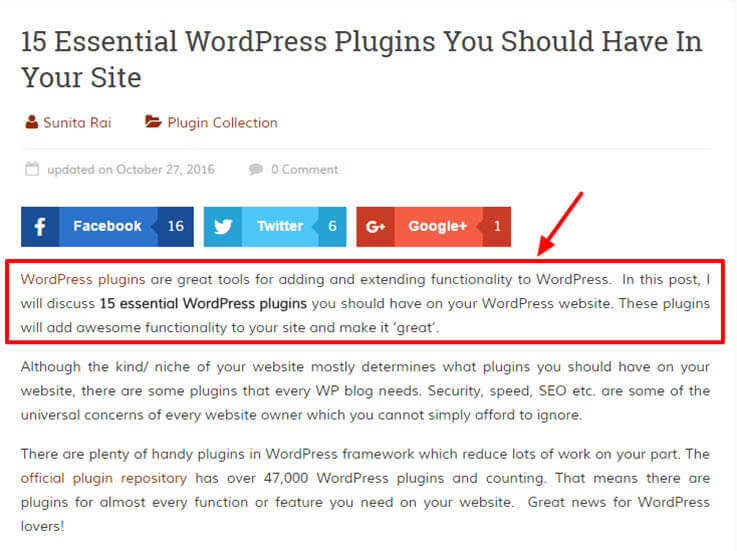 For example, ‘WooCommerce WordPress themes’ can be the focus keyword for a blog post. Long Tail Keywords: When you add suffixes or prefixes to the focus keyword, such phrases are called long tail keywords. For example, ‘free responsive WooCommerce WordPress themes’ is the long tail keyword where ‘free responsive’ is added as a prefix. Using long tail keywords and LSI keywords is very important because Google doesn’t rank your content for keyword stuffing. If you use your focus keyword aggressively everywhere, Google penalizes you instead of ranking. Google acts smart, so you have to be smart too. Keyword research is a vital task for copywriters. If you search ‘keyword research tools’ in Google or any search engine, you will see a number blog articles and hundreds of suggestions. There are actually hundreds of keyword research tools, however, I will discuss just three tools which are quite enough for copywriters. Type a word, phrase or a query related to your topic on Google search box. While typing your keyword, it suggests some related search terms like in the screenshot below. 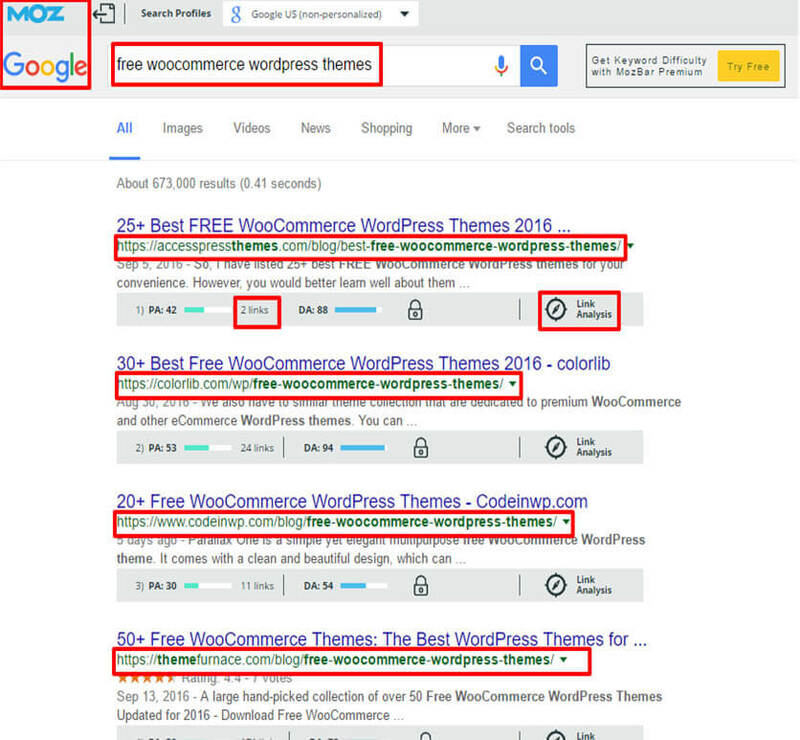 My search query is ‘WooCommerce WordPress themes’, Google has automatically suggested some related terms like ‘WooCommerce WordPress themes free’, ‘WooCommerce WordPress themes free download’ etc. Such suggested keywords can be used as LSI and long tail keywords. Next, you can open and analyze the first five pages ranking for the keyword you have typed. You can study what keywords they have focused and other keywords they have used. This will give you a better idea on what keywords you need to use in your post. 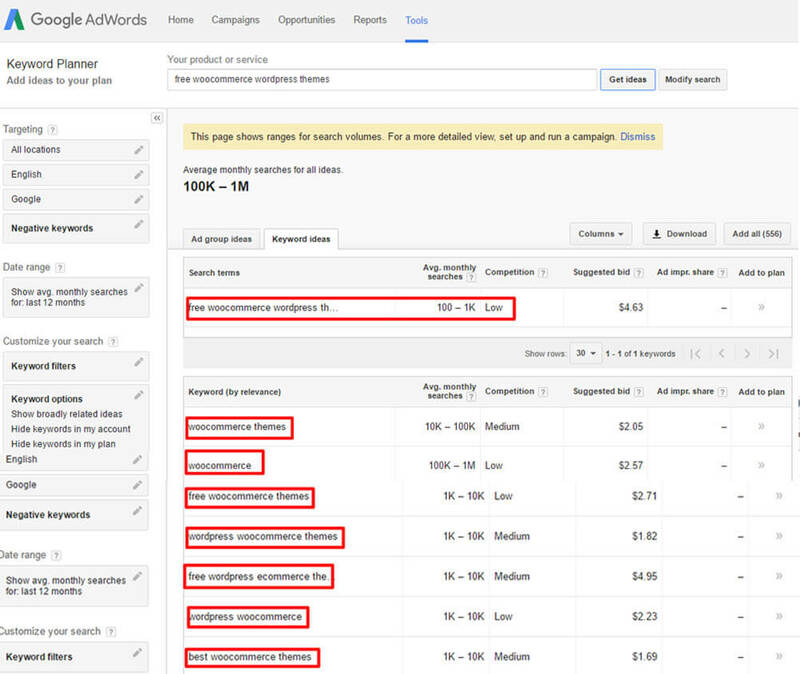 With Google Keyword planner, you can get the idea of the number of average monthly searches for the ‘inserted keyword/ term’ along with other related terms. Google Keyword Planner was even better before with the exact number of monthly searches. As you can see in the screenshot above, the inserted term ‘free WooCommerce WordPress themes’ is searched ‘100- 1k’ times in Google every month. Below are other related terms with the range of average monthly searches for them. Those related terms may be useful for your post as long tail keywords and LSI keywords. Ahrefs is a premium SEO tool. It gives you a better idea of backlink research, organic traffic, keyword research, content marketing etc. Keywords Explorer in Ahrefs tool is quite interesting for keyword research. When you type a keyword or more search terms in the Keywords Explorer box, it provides you an idea of accurate search volume, keyword difficulty score, and related search terms along with SERP overview. Competitor analysis is yet another very important task in SEO copywriting. In order to create a content that stands out of the crowd, you must know the competitors’ content. When you have a good understanding of the competitors’ strategies, strengths, and weaknesses, you can create something better than that. There are many tools for competitor analysis as well. Among all, Google search, MOZBar, Ahrefs, BuzzSumo etc. are very useful and handy. As you type a keyword or search query on Google search box, it provides you top 10 web pages on the first page by default. Just take the top 3 or top 5 web pages which are the core competitors for the keyword. Analyze those websites/ web pages deeper which will give you the idea of the keywords, their strategies and more. Additionally, you can install ‘MOZBar’ from MOZ which is a browser extension that provides you with the better idea of the web pages with domain authority, page authority, page analysis, spam score and more. 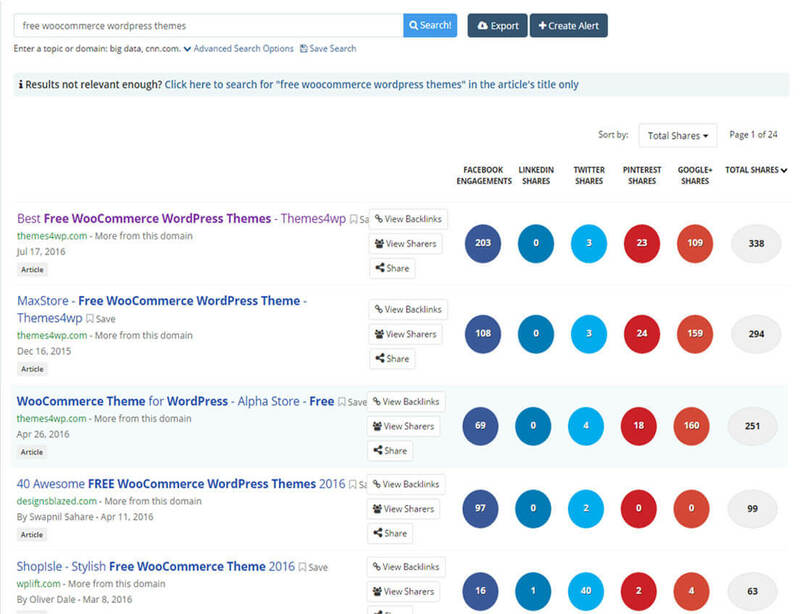 BuzzSumo is a very useful tool for overall SEO campaigns. Since social media marketing has become the vital part of digital marketing these days, you can have lots of keyword and competitor and marketing ideas with this tool. Basically, this tool helps you to identify the most shared content and key influencers for any topic or any domain. It provides the most content with the shared count of 5 major social media i.e. ‘Facebook’, ‘Twitter’, ‘LinkedIn’, ‘Pinterest’ and ‘Google+’. By this, you can learn what type of content is attracting the users’ attention, what makes a content engaging and more. And, yes those most shared contents are the competitors for your topic. Headlines are the first things that users see as they find your post on a search engine or when they open your post. It is often the headlines which determine if we open any page or simply close it. Therefore, headlines must be attractive, catchy, appealing and curiosity arousing. 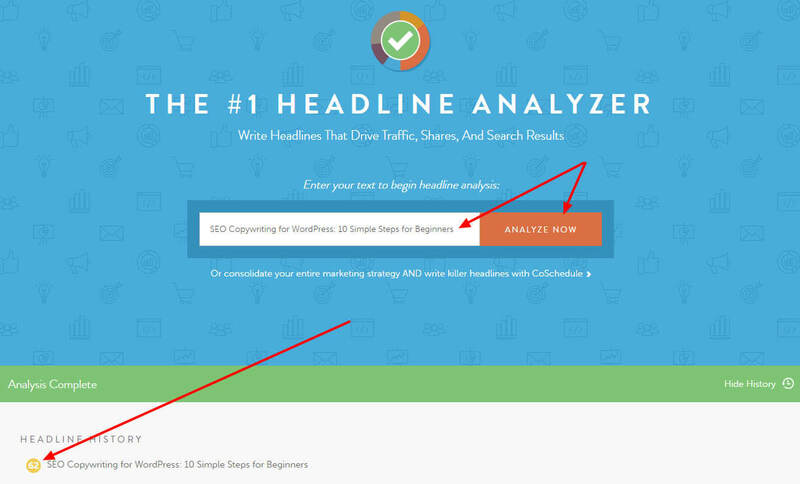 In order to write better headlines, you can use a handy tool CoSchedule Headline Analyzer. You can simply insert the headline you have created and hit ‘Analyze Now’ button there, it will provide you a score along with its overall overview and ways you can make it better. Here is an addition to the Headline Analyzer. Content Idea Generator is an online tool which is really amazing if you want all the funny, interesting and crazy topics. It is a type of title maker. Just insert a keyword, it’ll suggest you new thought-provoking headline each time you hit ‘Go’. This is creating the overall outline or skeleton of your copy in your head before writing. Once you are done with keyword research, competitor analysis, and headline, you are almost ready to start writing. But, it’s not a good idea to start it without a proper planning. Outline actually means a mental plan of the structure of your copy. You must decide how you start it and how you will conclude it. From the beginning to the ending, there must be proper flow of the writing, the sequence of the ideas and clear statement of the ideas you want to deliver. If you start writing without a plan, sometimes you may be diverted to some other things and consequently fail to achieve the goal. Here you are ready for writing an amazing post! A quality copy! Let’s start.. Like the headline, the first sentence and first paragraph of your post are really important. The first sentence often determines whether readers go through the whole copy or just stop reading it. So make sure to write an appealing and interesting sentence in the first line. Besides, it is essential to use the focus keyword in the first sentence or at least in the first paragraph. This makes your copy SEO friendly; makes it easy for search engine bots to index your content. Similarly, you must focus on creating very simple and easy to understand copy. Since you are writing a copy for users, it is necessary to be sweet, simple and comprehensive. Readers always have a choice whether they read it or skip it so you should try to create a content that keeps them sticking. Therefore, you must use really simple words as far as possible; avoid technical terminologies and complex words. And, create simple sentences focusing on active voice and discourage passive voice sentences. In addition, don’t make long textbook like paragraphs. Such long paragraphs are boring to read and there are higher chances of bounce rates. Try to make short paragraphs each containing three or four sentences. And creating each paragraph with one clear idea makes your writing really interesting. Since an SEO copy has a purpose to promote, market and sell some products or services, it has to be really user-focused. So, you must make sure that your copy looks really impressive by its design. You must ensure an eye-pleasing design for your copy before you publish it online. To make your copy good-looking, you must use an appropriate number of images, graphics, or other types of media. Using such media makes your copy look nice, engaging and more interactive. Similarly, using colorful and decent Call to Action (CTA) buttons also make your copy look better. On top of everything, white space is really important for nice design. Make sure that there is enough white space in the sidebars, between the paragraphs, sentences etc. Creating short paragraphs also helps in making your copy attractive by its design. Once you are done with writing content, next thing to do before publishing it is ‘Content analysis and SEO check’. Now, examine the copy you have written from the readers’ perspective. Edit it if you think some information is misleading, add if something is missing, delete if any information is repeated. And, test your copy from SEO perspective. Test whether you have used the appropriate number of keywords properly or not. Check if the content is easy to read and understand or not. 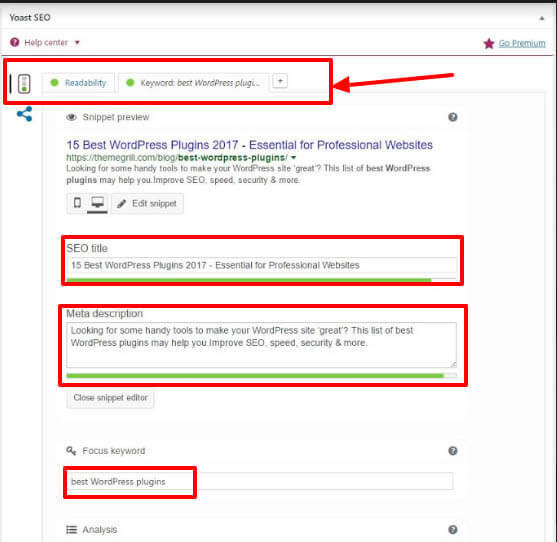 If you are in WordPress platform , Yoast SEO plugin makes this task much easier. Easily create elegant WordPress websites FREE! Check out the list of best FREE WordPress themes here. . This plugin tests your content from two aspects: SEO and Readability. It analyzes your content SEO wise; tests whether you have included the focus keyword in the headline, meta description, in the body content or not. Furthermore, it suggests you edit your text and make it excellent so that search engine crawlers can easily index it. Similarly, it also tests your copy from readability perspective and recommends you to make some changes if it finds that your copy is not easy to read. It has mainly three indicators; ‘Green’ for Good, ‘Yellow’ for Average/ OK and ‘Red’ for the copy that Needs improvement. Try to make both SEO and Readability indicator show ‘Green’. That’s the green signal for publishing your content. Finally, you are done! Your post is online! You have created really awesome content, made it beautiful with nice design and published it but you are still not done. If you fold your hands and sleep, nobody is going to come and read your post. Even if you have large daily traffic coming to your blog, your post may not get the traffic it must get. So, you must reach out to the rightful audience. Share your content in the social media. Reach out the prospect audience via email and tell them that you have created a really useful copy for them. Reach out the influencers and other bloggers who may send you some backlinks if they find your copy useful. Try to reach out as many people as possible. Promote and market your copy in all the means possible. Last but not the least, another important task for the successful copywriters is to keep the post updated. It means updating the post time and again with the new ideas, fresh statistics, and better solutions. The world of internet is ever-dynamic and fast-changing. There may be unique ideas blooming every day. And the people are curious to catch fresh ideas every day. So, keeping your copy updated creates a good impression for your post among the readers. This technique helps you to engage the regular and earn also more new visitors. Have any thought on this post? Feel free to write your feedbacks and comments in the comment box below. This post is based on the WordCamp presentation which I presented in WordCamp Kathmandu 2016. The presentation was entitled ‘SEO Copywriting for WordPress: How to create a great Content?‘. You can watch the official WordCamp video here. And find the WordCamp slides here. Very comprehensive, really enjoyed reading through all of the detail here. SEO can create such a huge advantage for a company especially locally if competitors are not on-board yet. Thanks for sharing. Very Nice Article.. I Like It.. Easy to understand the SEO..
Amazing! I really get it now. I have the knowledge, and therefore confidence, that I can create a blog that will be creative, useful and unique. Much thanks. That is a great piece of information. Thanks for sharing this article. Its always exciting to read some new things about SEO.